Dr. Yoshida is a graduate from Mie University School of Medicine (MD) in Japan. He is board certified in Emergency Medicine and Critical Care Medicine. His graduate research training (PhD) was completed in Osaka where he demonstrated lung injury resulting from spontaneous effort during mechanical ventilation. He furthered this during a year’s work with Dr. Amato (University of São Paulo) where he described ‘Pendelluft’, a new mechanism of effort-dependent lung injury. He completed an additional 3-year post-doctoral fellowship in Toronto (Drs. Kavanagh and Brochard). 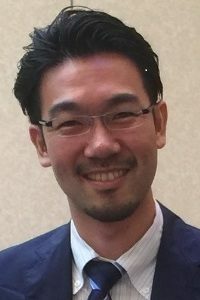 Dr. Yoshida has been supported by a RestraComp award from the Hospital for Sick Children, and has won multiple hospital, university and international awards, most recently the ‘Global Rising Star’ award from the Australian and New Zealand Intensive Care Society. He has published 47 papers. He takes up a faculty position in Osaka University Graduate School of Medicine from July 2018.